Arm yourself with as much information as possible so you can use it when negotiating a house price. For example, if the seller is a couple going through a messy divorce, you might assume that selling the house quickly is more important to them than getting the best price possible. The same goes for a seller who is moving out of state and has to complete the sale before their new job starts. On the other hand, if the seller fixed up the home and is looking to make a profit on their investment, they may be more willing to hold out for a higher price. If the seller raised their children in the home, they might simply want their home to go to someone who will take care of it. This kind of information can actually give you leverage in negotiations and an advantage over other interested buyers. Learn what you can and use it strategically for your negotiations. Closing costs are all the fees paid at closing, and both buyers and sellers are typically responsible for paying a portion of them. But, it is all part of the negotiations. The most common reason for a seller to take on some of the buyer’s closing costs is if the home needs significant repairs. As the buyer, when negotiating a house price, you can argue that the seller should pay the closing costs to offset the cost of the repairs. Sometimes buyers will request a closing credit. In this case, part of the cost is “credited” to the buyer. With this arrangement the price of the house doesn’t change (so as not to create financing issues with the bank), but part of the purchase price is immediately returned to the buyer at closing so your out-of-pocket expenses are reduced. Closing costs generally equal between 2 and 5 percent of the total purchase price. On a $250,000 home, that could be as much as $12,500. So, you can see why it’s in your best interest to try to get the seller to take on all closing costs when negotiating the house price. A home warranty is a type of service contract that goes beyond your insurance policy to pay for any necessary repairs to important appliances or home systems (HVAC, plumbing, etc.). When negotiating a house price, you can ask the seller to cover the premium of the warranty for at least the first year. You can also negotiate who would pay the deductible if any repairs are needed, but the important thing is to include a home warranty in the final agreement. It can save you from paying extremely expensive repairs down the road. When negotiating a house price and the purchase agreement, you’ll want to include contingencies. These provisions allow you to back out of the deal if certain conditions aren’t met. The most common contingency is to have the home inspected by a certified home inspector before closing. You should also include a contingency that allows you to rescind your offer if the inspector finds significant issues with the foundation or other structural aspects of the home. If the inspector does find issues, you can either walk away or further negotiate the purchase price down. 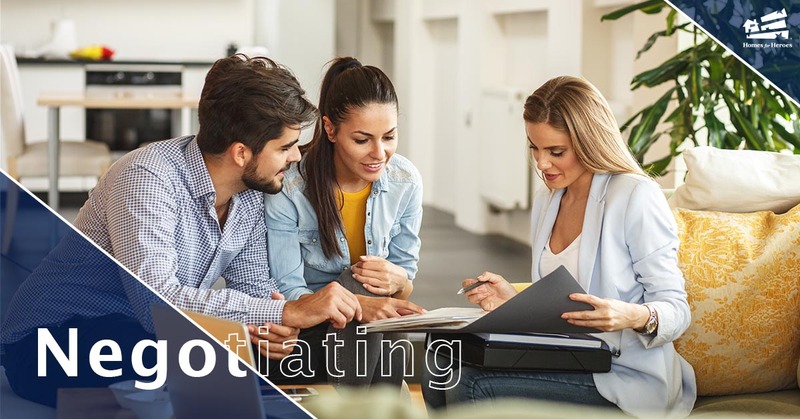 The seller may not agree with all of the contingencies you want to include, so be prepared to negotiate these points and come ready to justify your position. Setting a specific closing date is tricky for both buyers and sellers because neither party wants to be paying two mortgages, or a mortgage and rent. Unfortunately, things rarely line up perfectly. But this is where you can work some flexibility into your negotiations. If you don’t want to close until your lease is up, a motivated seller may be willing to adjust the purchase price so you can break your lease early and complete the sale. On the other hand, if the seller needs more time before leaving the property, you can grant them more time in the home in exchange for a lower price. By staying flexible and understanding the seller’s situation, you can come out ahead in your negotiations. Your contingencies should address any maintenance issues or repairs that are needed on the home. In addition, you can always negotiate updates to the house. These could be things like refinishing the floors, replacing old light fixtures or improving tile in the bathroom. You can request that the seller make these improvements before finalizing the sale. You can also try to lower the purchase price and make these repairs yourself. This way you control the final cost and the end result of the repairs. If you finish the repairs for less than outlined in the negotiations, you’ll save money. You can also negotiate personal property that you want included in the sale. This can be anything from furniture to appliances, even cars. The seller may be happy to leave these things behind rather than move them to their new home. So, these things may come as a “gift” from the seller, or you can negotiate them into the purchase price. Remember, when buying a house, everything is negotiable. Boost your negotiating power and save even more money when you register with Homes for Heroes and work with one of our expert real estate agents in your area. They can spearhead all of your negotiations. If you also work with our mortgage, title and home inspector specialists, you could save an average of $2,400 on your new home.